A birthday message for my sister Margaret…. And we’re sorta hard to see. We’re pretty and we’re free. Of course there are those times when it seems we’re just a blur. 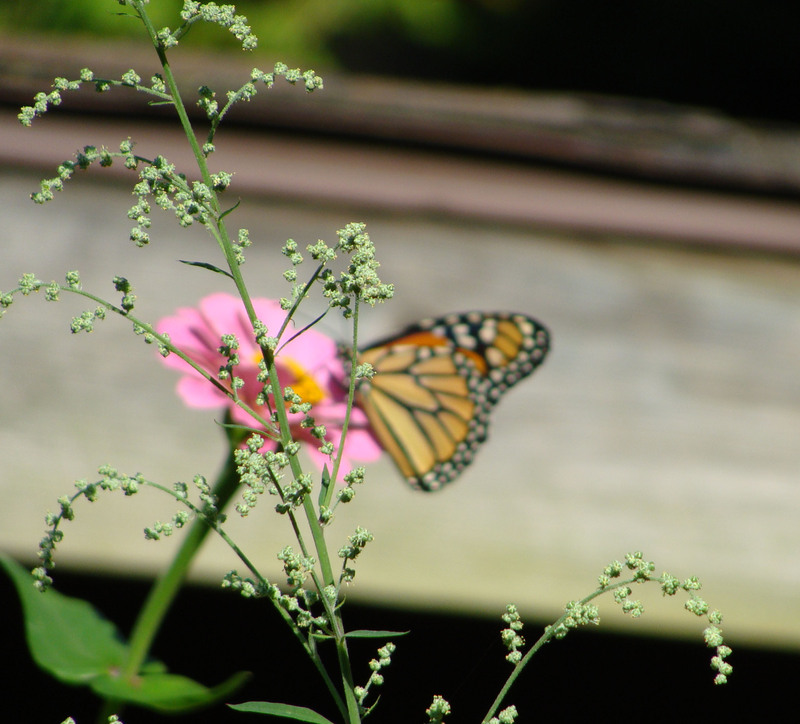 Or the focus is on weeds, our selfish needs demur. 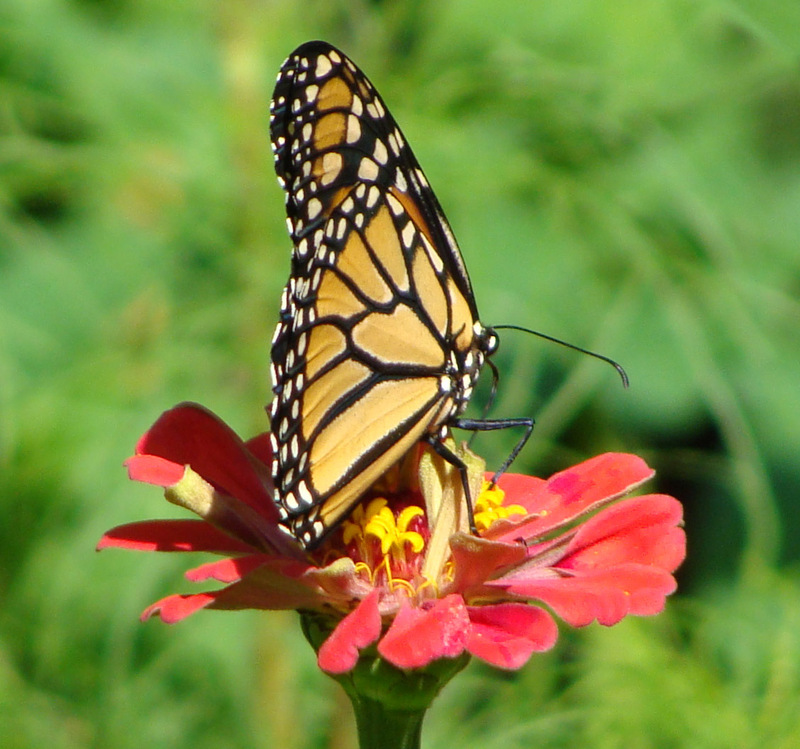 Caterpillar – Butterfly, you have them both in you. 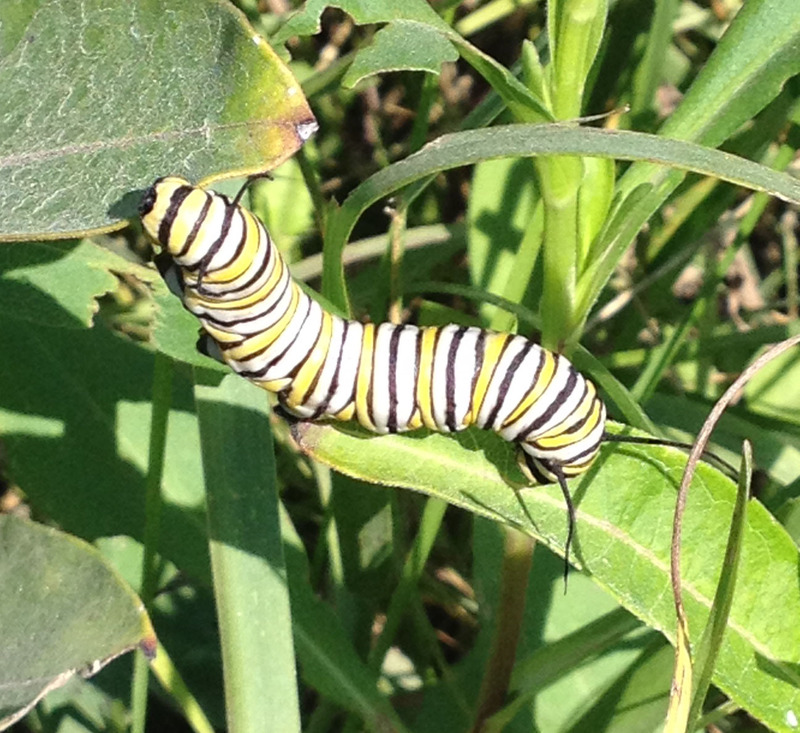 I always know a caterpillar hopes for a major change. 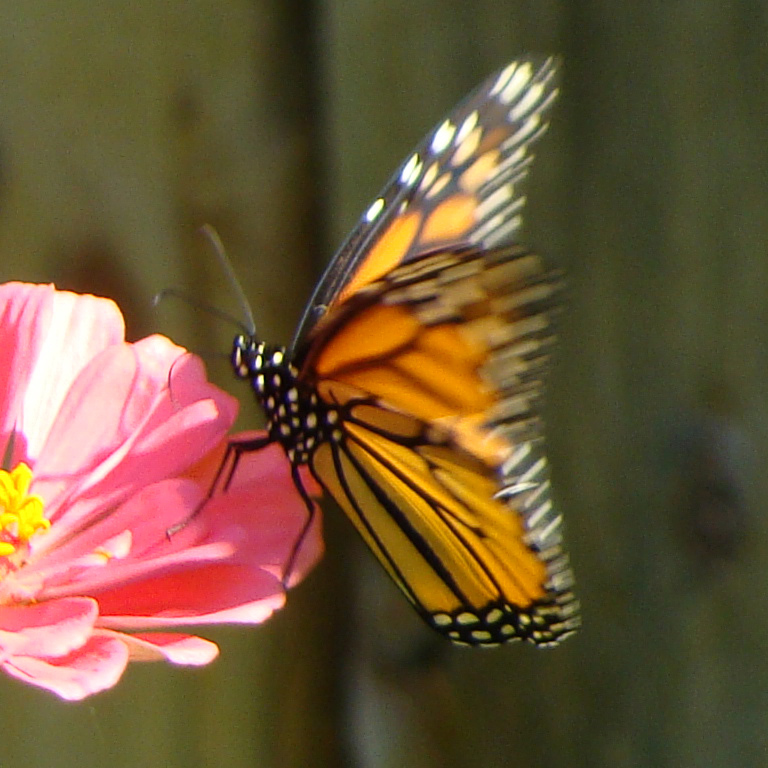 I only see the butterflies fluttering about the range. So be yourself, just right now, take a look within. We are always changing, in that we find our zen. 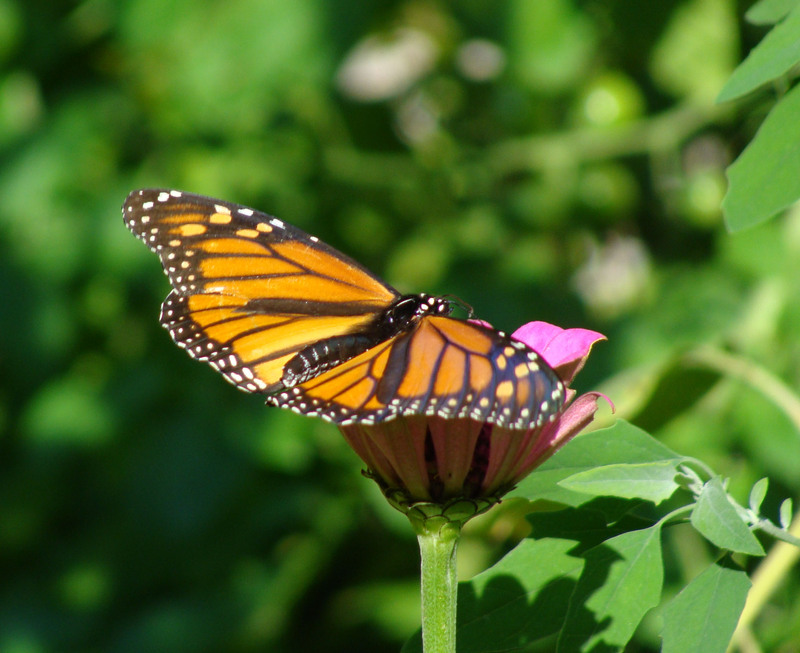 The photos of the butterflies were taken in the garden on our property as usual. 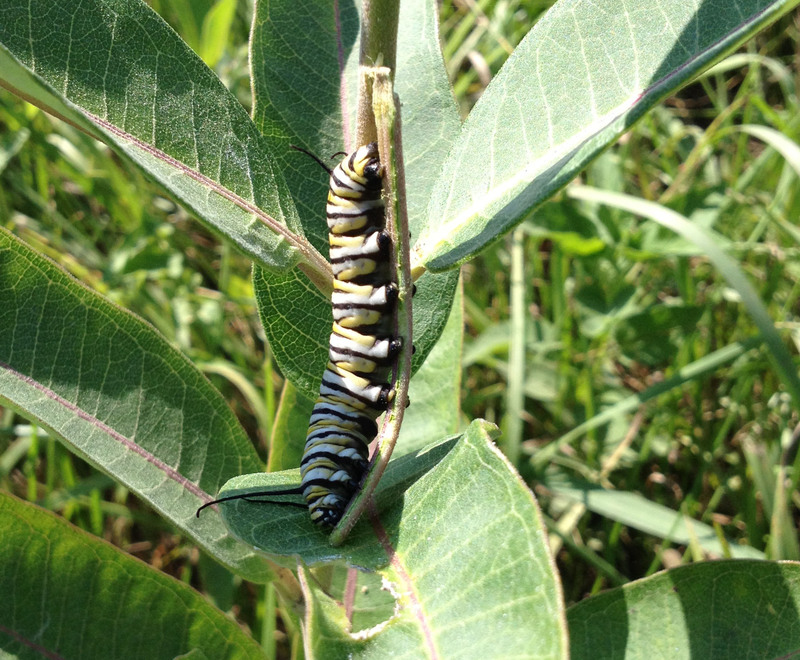 The photos of the caterpillar were taken in the nearby country along a gravel road where I noticed a patch of milkweed. 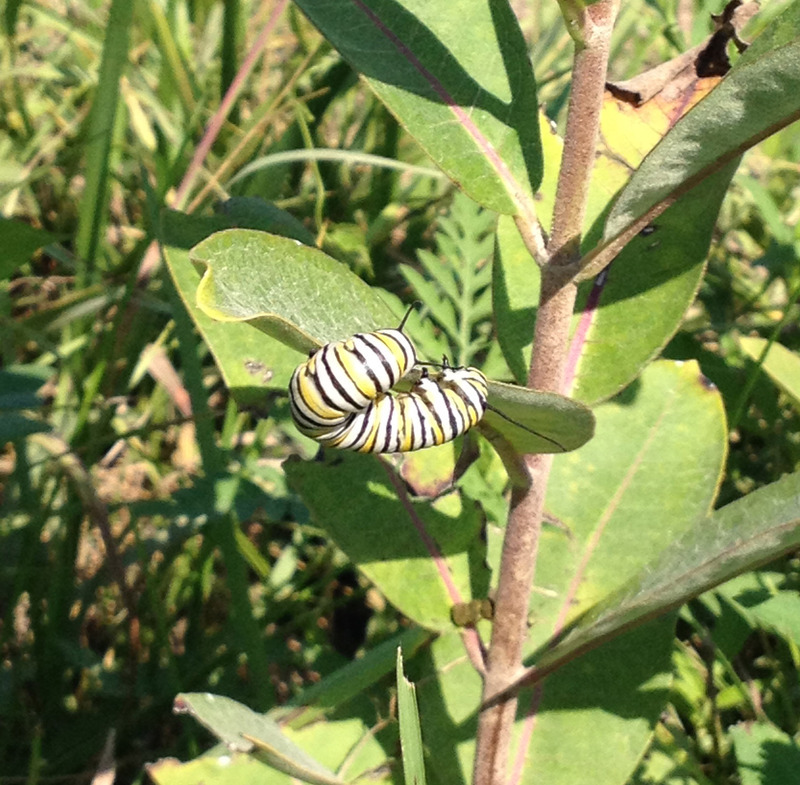 I stopped, investigated and was rewarded with a single Monarch caterpillar. A busy little dude he was. 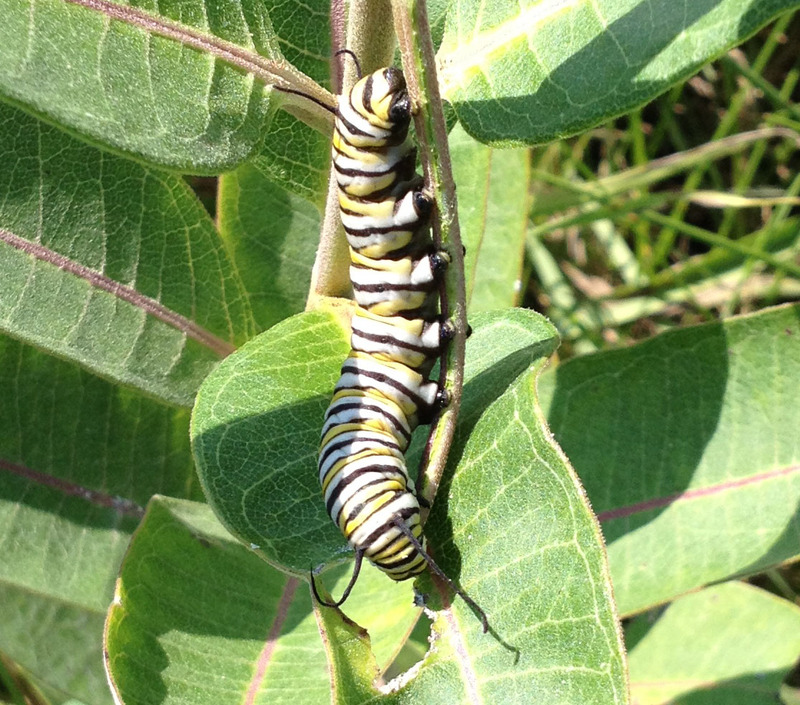 He ate half a milkweed leaf and moved from one plant to the other in the 20 or so minutes I observed him. Or her. How can you tell? Oh, yes – one other thing. 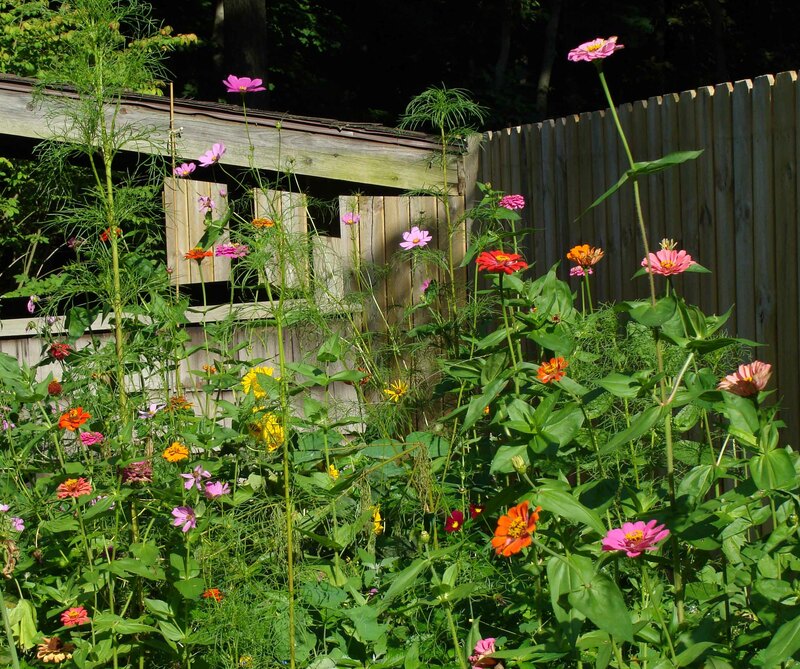 The In Jim’s Garden milkweed experiment was a complete failure this year. 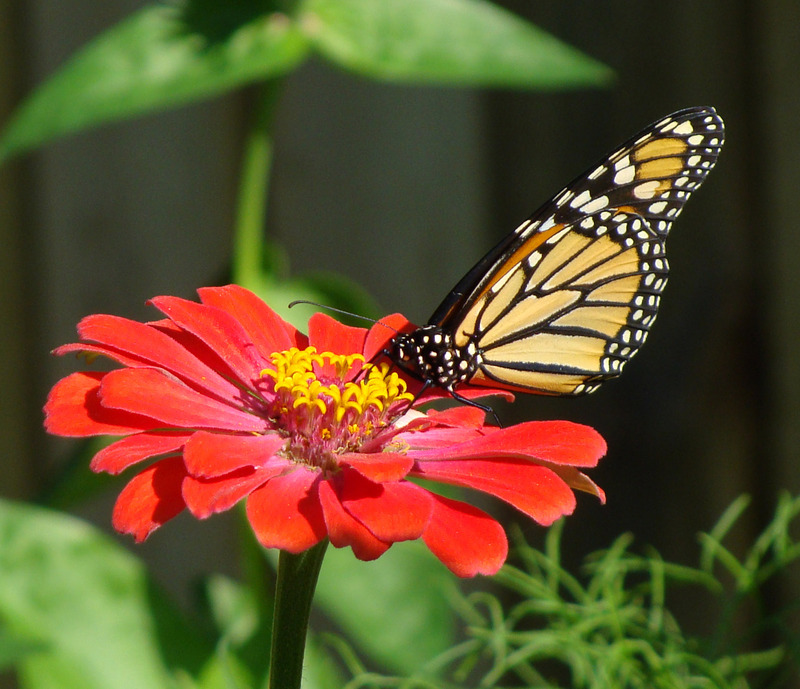 I planted the seeds alongside zinnia seeds and guess who thrived. 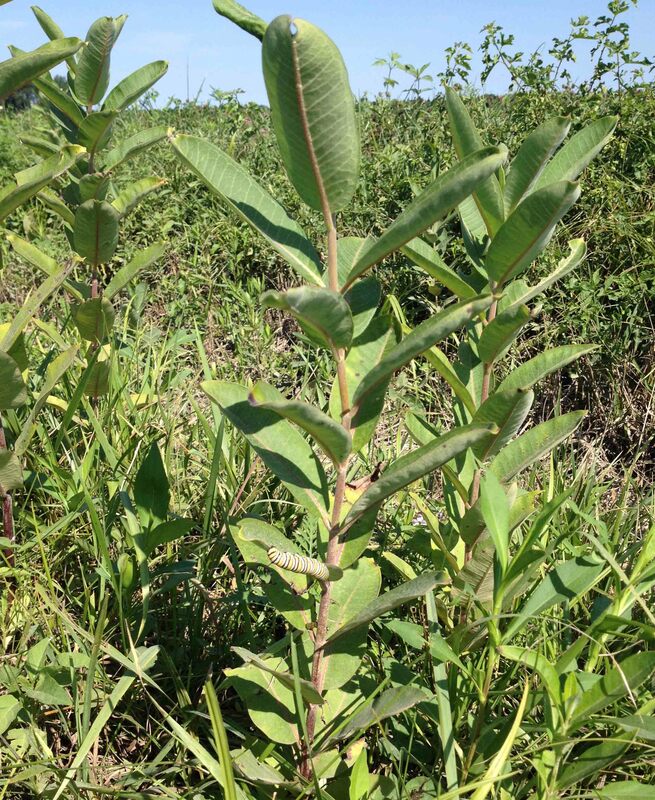 Certainly not the milkweed. 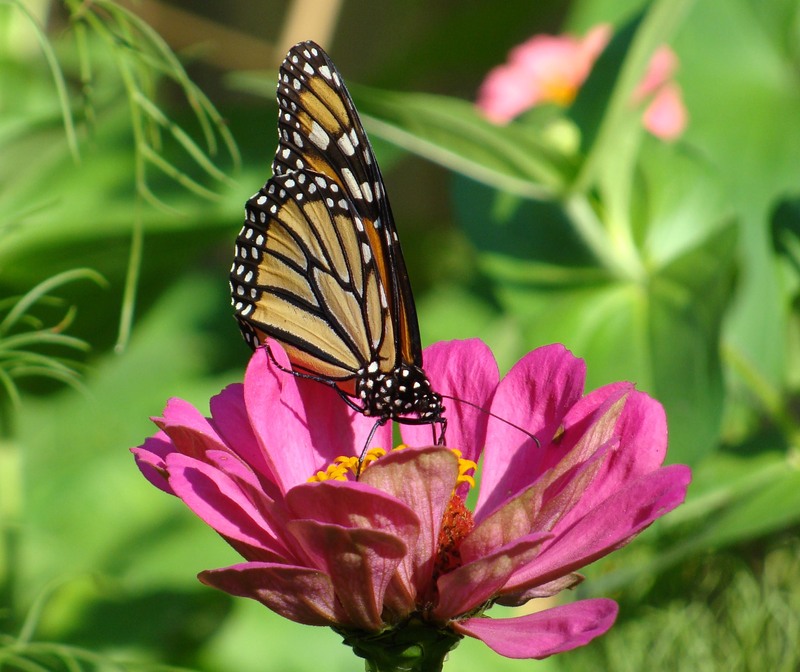 Hence, while we are feeding several Monarch butterflies at this time, the caterpillars must seek shelter and nourishment elsewhere. I’ll try to do better next year. 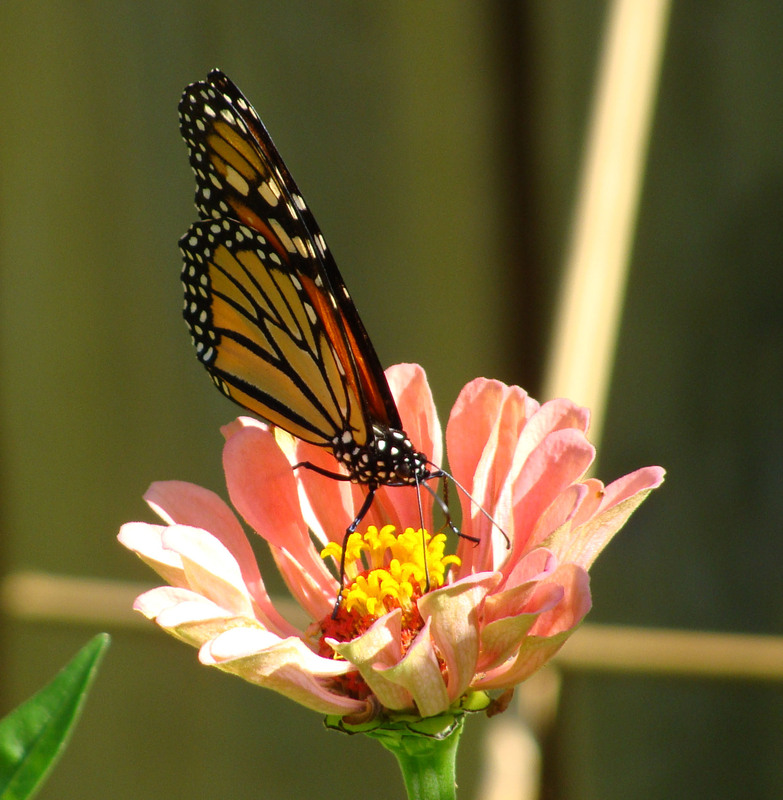 But the butterflies just LOVE zinnias!